On this page, we'll include links to other radio clubs,antique radio sites,lists of other radio sites etc. Do not forget there are more links on the pages that you go on from here. I hope you find theese links interesting. ***Note;On the QTR website there are sound bytes to listen to. You need a Real Player to listen to them. There is a link To Real Player on the QTR website so that you can install one on your pc. There is a free one you can install. Dave's Transistor Radios Click on the Channel Master photo above and you will go to Dave's Transistor Radios website. 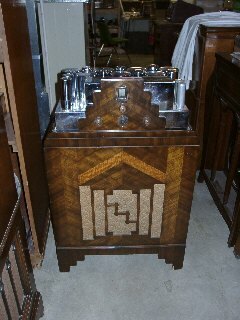 1930 Zenith 77 Console Radio. Fancy Cabinet. Photo from Western Historical Radio Museum. 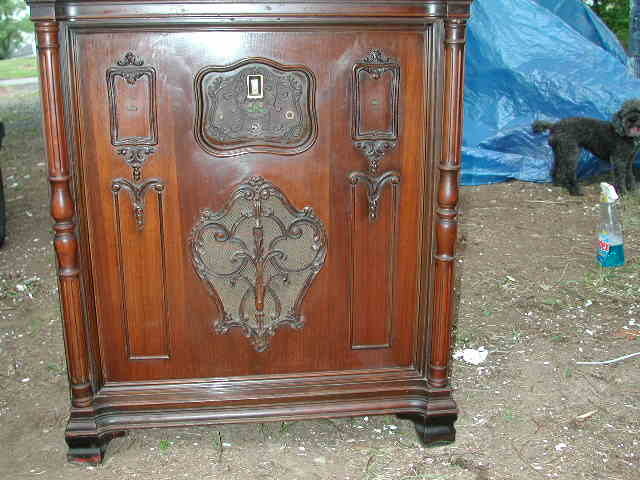 1929 Sparton Model 111 console. This big console had a 12 tube chassis. Nice fancy cabinetry. Below 1932 Colin Kennedy Model 266 Highboy style console. 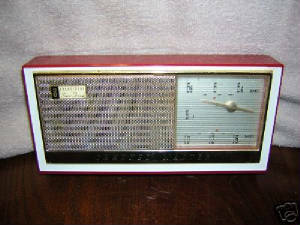 This model radio had standard broadcast and shortwave. Note the orange lighted dail windows on the front. Looks nice. 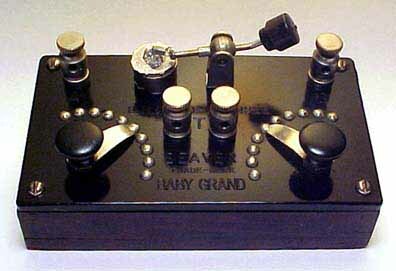 Here is a old ham radio. A National NC45-A receiver. This radio belongs to WA2BAH a local ham radio operator. Stan likes his older equipment and keeps it in good working order. Here are more links to interesting radio sites. 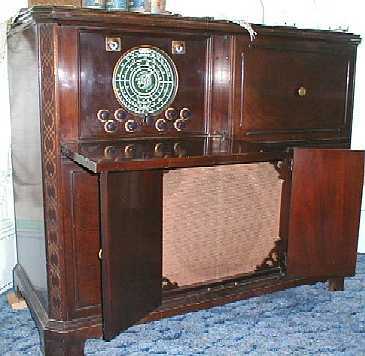 Old Time Radio Programs * Note you will need a Real Player to listen to the radio programs on this site. There is a link on this site to Real Player to download the software. There is a free version to download. Cick on the above Zenith sighn to go to my new Zenith website. This site covers Zenith's history from 1919-1982. 1923 Baby Grand Crystal Set. 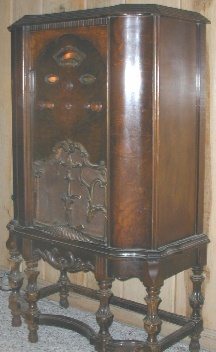 E H Scott console radio.Georgain cabinet. Scotts were custom built radios. The chassis were all chrome plated. Had many features on them you could not get with any other manufacture. They had outstanding performence and audio quallity. Console photo from Western Historical Radio Museum. Click on the above photo to go to the Western Historical Radio Museum website. Below is a Scott Allwave 12 chassis and speaker. That chrome chassis is pretty.